Kicking off its 2016 Asia tour with the fifth edition of ULTRA Korea and a sold out Road To ULTRA Thailand event back in June, ULTRA Worldwide further solidified its status as the most successful festival brand ever this month (September 2016), as it completed a record-breaking run of six huge shows across the continent in the span of just ten days. All told, ULTRA delivered its top-tier experience to over a 350,000 fans in Asia over 10 days, with its multi-platform, high-definition livestream allowing millions more to tune in to the action from all over the world. “I’m overwhelmed at what we’ve been able to achieve across Asia this year. Producing large-scale events of the highest quality in eight countries, all in the span of a total of three weeks, is an incredible achievement and one that our entire team should be very proud of. There is an immense satisfaction in witnessing hundreds of thousands of fans on the other side of the world immersing themselves and enjoying what we do, all being a part of our Ultra Worldwide family. I have to commend our fantastic team in Asia, without whom none of this would be possible” – Russell Faibisch – Co-Founder, CEO, President, Chairman and Executive Producer of ULTRA Worldwide. Having delivered a sold-out Road To ULTRA in Singapore in 2015, the hugely popular event was upgraded to full festival status in the ‘Lion City’ as it “broke new ground” (Billboard) over the weekend of September 10 and 11. Armed with ULTRA’s triumvirate of Main Stage, Live Stage and Resistance, the highly anticipated debut edition of ULTRA Singapore welcomed huge international stars, including Above & Beyond, Afrojack, Axwell, Alesso, deadmau5, Kygo, Nero (Live), DJ Snake and many more to its striking, outdoor location directly in front of the world famous MARINA BAY SANDS on Singapore’s Bayfront Avenue. With 45,000 Ultranauts from 67 countries worldwide in attendance over the course of the weekend at this iconic location which has never hosted a music festival before, ULTRA Singapore marked the perfect start to the second leg of this historic run of events across Asia. Heading due north, the sophomore edition of Road To ULTRA Taiwan took place on Sunday, September 11. Hosted at its original Da Jia Riverside Park home in the capital city of Taipei, more than 17,000 local and international fans alike were treated to electrifying performances from headliners Afrojack, Alesso, deadmau5, DJ Snake and W&W, with support from Quintino and rising Korean star Raiden. Next on the itinerary was a trip down to the Indonesian archipelago, to the famed ‘Island of the Gods’ – Bali. Returning to the Potato Head Beach Club for a second consecutive year, ULTRA Beach Bali was was once again hailed a huge success. From Jauz and Afrojack jumping in the pool with their fans to deadmau5 and Marshmello providing stunning performances on the Main Stage, Day One proved to kick off the event in the best way possible. Headliners Martin Garrix and Dubfire stole the show on Day Two (on the Main Stage and Resistance Stage respectively), with Galantis, Jauz, Nic Fanciulli, Technasia and many more providing strong support across the beach-front site. Last but by no means least, on Saturday, September 17, ULTRA Worldwide clocked yet another remarkable first by producing concurrent events in THREE different cities across Asia. Road To ULTRA’s Hong Kongdebut ran side by side with Road To ULTRA Philippines and SOLD OUT (for the third year in a row) ULTRA Japan, the latter of which saw over 120,000 fans descend upon Tokyo Odaiba ULTRA Park for an unforgettable three-day finale. The inaugural Road to ULTRA Hong Kong, held at the new Nursery Park in the West Kowloon Cultural District, packed possibly the biggest lineup for a Road To Ultra event in recent memory. Knife Party, Nero (Live) and Martin Garrix were joined by Carnage, Galantis, Jauz, Marshmello and Thomas Jack. Together, they put this first time event firmly on the Ultra Worldwide roadmap. Road To ULTRA Philippines moved indoors to Manila’s Mall Of Asia Arena this year, resulting in another spectacular, yet altogether different experience. Returning to the capital for the second consecutive year, this mainstay event welcomed some of the biggest hitters in dance music, including Alesso, Tiësto, Moti and the surprise last-minute addition of Jauz. Ultra Japan – The Grand Finale, a sold out weekend and the jewel in the crown of Ultra Worldwide’s takeover of Asia. This was a festival spectacular! 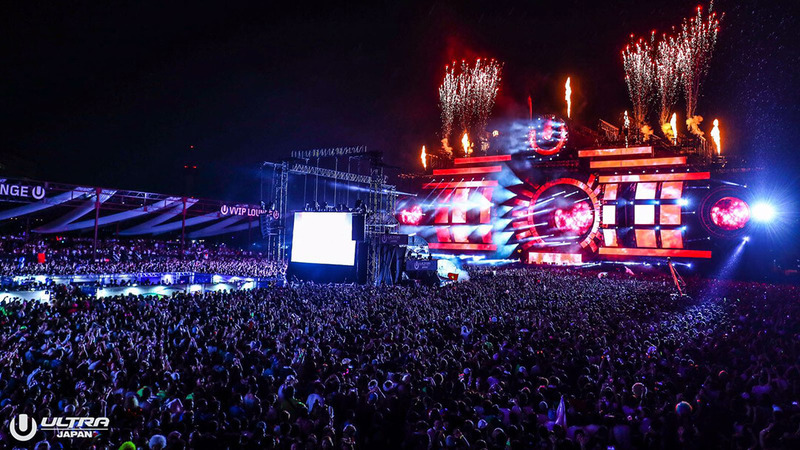 Complete with brand new, cutting-edge stage designs for both Main Stage and Resistance, and with over 65 international and local acts performing across the weekend, ULTRA Japan provided fans with its most astonishing festival to date. Breaking its previous attendance record with over 120,000 attendees, the festival also brought debut performances to the country from Kygo and Zhu, and delivered one of the most jaw-dropping, theatre-like shows ever seen in the Far East. 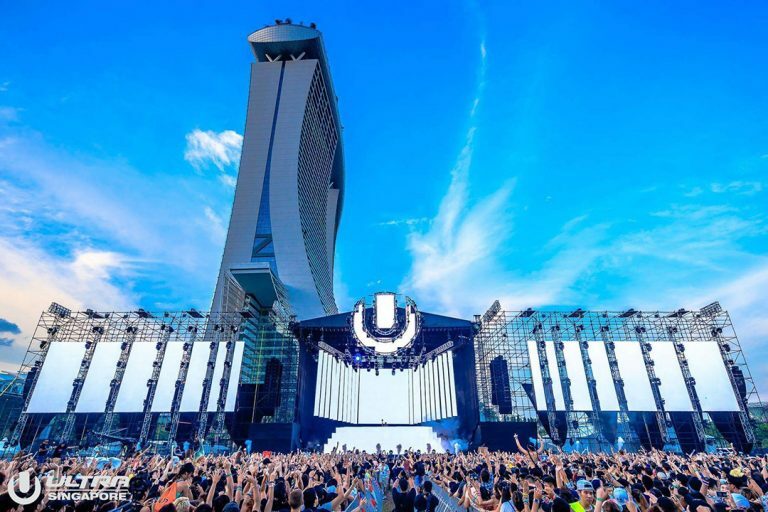 The world famous ULTRA LIVE production, presented by UMF TV, streamed the Singapore and Japan festivals to over one million fans around the world. With over 750,000 watching ULTRA live on the official YouTube Livestream and a further 1,000,000 plugging into the exclusive Asia stream hosted on the V Live and LINE platforms, the numbers of those watching online serve up even more proof of ULTRA’s true global appeal. Having created history once again over the last four months in Asia, ULTRA Worldwide continues to live up to its reputation as the most successful international festival brand in the world. With the Asian tour for 2016 now complete, all eyes are focused on South America, where the brand will look to smash its own record and produce an inconceivable eight events in eight days. From October 7-15, ULTRA Worldwide will host various ‘Resistance’ and ‘Road to ULTRA’ events in Chile, Peru, Bolivia and Paraguay, in addition to the full-scale debut edition of ULTRA Brasil in Rio de Janeiro. So far, 2016 has seen the ULTRA and ULTRA WORLDWIDE™ brands continue to push the boundaries even further, bringing an unparalleled combination of cutting edge productions and the world’s best electronic acts back to previous strongholds and new frontiers across the globe. With a brand new edition of ULTRA Brasil® taking place in Rio de Janeiro on October 14-15, 2016, ULTRA Singapore™ having become a full scale two-day festival on September 10-11 and with ROAD TO ULTRA® having recently made its Hong Kong debut, the ULTRA brand has now united TWENTY COUNTRIES across FIVE CONTINENTS worldwide.